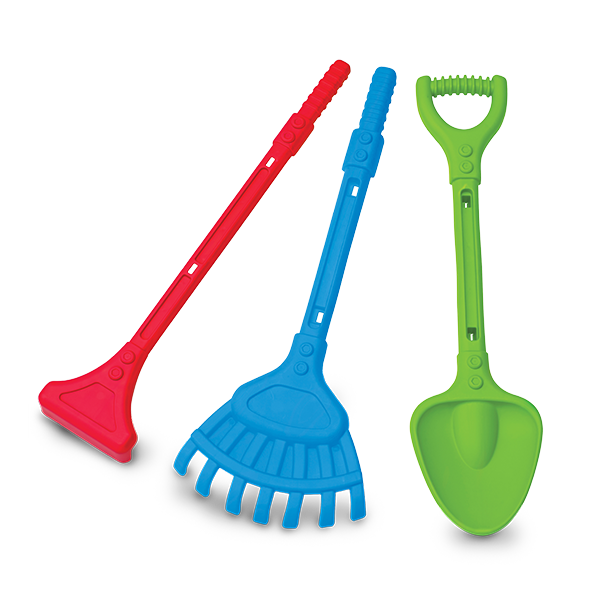 DELUXE GARDEN SET | American Plastic Toys Inc.
Great for those tough gardening jobs! This garden set includes a rake, shovel, and hoe. Tools can be snapped together for easy storage.